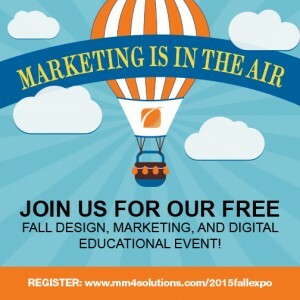 Join Us For Our Free Fall Design, Marketing, and Digital Educational Event! Join us on Tuesday, October 6 from 9 a.m. to 2:30 p.m., at the Millennium corporate office for our Fall Expo to take your marketing to new heights! It will be a day of education, entertainment, refreshments, and fun! Attendees will have the opportunity to meet the Millennium team of marketing professionals and learn about the latest trends in design, digital marketing, print, promotional products, direct mail, and trade show displays, just to name a few. Expo participants will also have the opportunity to tour our recently renovated corporate office and production center, as well as meet with vendors in the paper and promotional product industries. Our team will be available all day to answer your marketing questions so please feel free to stay all day or simply stop by for an hour or two. 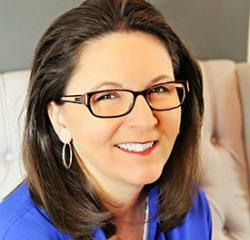 The day will be filled with educational events and seminars beginning with a casual discussion with Debra May, our resident expert on all things shopping, selecting, and using promotional products. This will be followed by one of the highlights of this year’s Fall Expo, our special guest speaker, Jim Doyle, American University Professor and United States Postal Service (USPS) representative who will discuss the advantages of direct mail, tips on managing resources, and the most up-to-date USPS guidelines and regulations. Next on the schedule is an in-depth look into remarketing ads, what they are, how they work, and why they are effective from a digital and social media perspective for your business. Following the Millennium Digital Marketing team will be the Design team who will be delivering a powerful seminar on the do’s and don’ts of design and how poor design will hurt your marketing efforts and branding. They’ll provide tips on how to work with professional graphic designers, keep projects within budget, and how to stand out from the competition. We’ll wrap up the expo with an Ask the Millennium Experts Website Roundtable which will be an informative and innovative discussion about websites and their power as a marketing tool. During they discussion our panel of experts will provide tips and tricks on how to use psychological triggers, heat maps, analytics, search engine optimization, and much more, including the importance of responsive design, to ensure you have a website that drives sales and increases your ROI. For more information about the Expo and the seminars available or to register, please click here today!